“Visionary, competitive, tough-minded, caring. Indra makes things happen. AmCham NSW is delighted to partner with The Growth Faculty to bring you a very special evening with Indra Nooyi, PepsiCo's world acclaimed former CEO and current chairman. 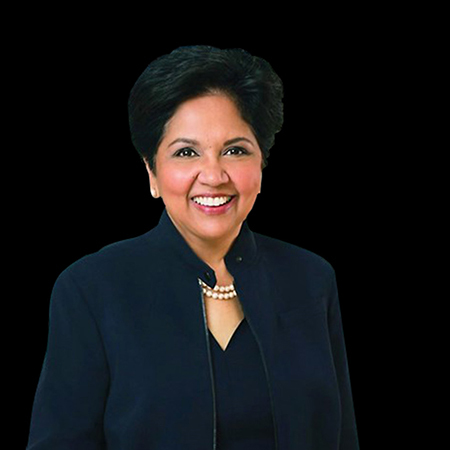 This exclusive leaders' dinner event offers unparalleled business insights and empowering messages from Indra Nooyi who is sought-after all over the globe from The World Economic Forum to The Aspen Institute. Join business leaders from Australia's largest brands and high growth companies. HOST YOUR CLIENTS. INSPIRE YOUR TEAM. "Leadership is hard to define and good leadership even harder. But if you can get people to follow you to the ends of the earth, you are a great leader."